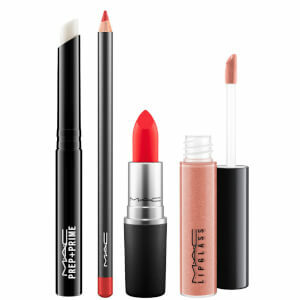 Line, define and contour your lips with the MAC Lip Duo in 'Ruby Woo/Ruby Woo', a must-have lip pairing to lend your pout a sculpted and defined appearance. Combining a vivid blue-red, retro-matte lipstick with the corresponding lip liner, the duo work in synergy to shade, contour and plump the appearance of lips. 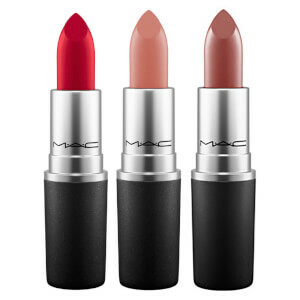 MAC Lipstick is one of the brand's most iconic products to date; it glides effortlessly on, delivering unmistakable colour, whilst the smooth lip pencil won't drag or skip on application, imparting complementary colour that fills, lines and shapes your lips at the same time as prolonging lipstick wear. 1 x Lip Pencil in 'Ruby Woo' - vivid blue-red. 1 x Lipstick in 'Ruby Woo' (Retro Matte) - vivid blue-red. 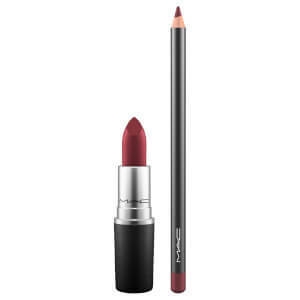 Apply lip pencil directly to lips before lipstick. 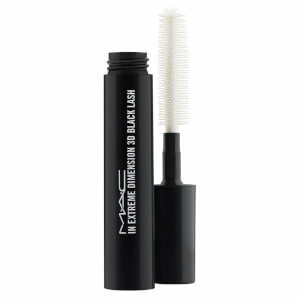 Apply lipstick from the bullet, or apply with a brush like the 316 Brush for a more precise application. I bought this set a couple of weeks ago and used it yesterday for the first time.. The colour is amazing!!! but and unfortunately I have to say that I was sooo let down with the quality :( I own a lot of Mac makeup and this is the first time that I experienced this issue.. The pencil was not bad but the lipstick... I had to apply more than 3 coats to get an even opaque colour.. And the texture is sooo dry... I own other retro matte lipsticks from MAC but I think this one has been on the shelve for too long!! 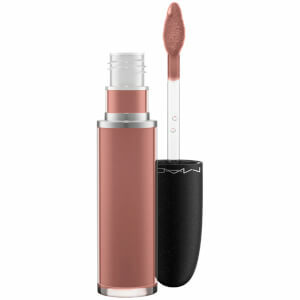 Will definitely not be buying any MAC unless it's off the counter! Really smooth lipliner and lipstick, doesn’t look out of place on fair freckled skin. A really nice red. Delighted with service and prompt delivery. Happy with product purchased.